We are committed to finding you the best possible price for your holiday. We constantly monitor our prices and those of other tour operators to ensure that our prices are the best available. You won't find any hidden charges or fees when you book with us. The price you see includes Return Flights, APD Tax, Fuel Charges, In-Flight Meals, Luggage Allowance and Resort Transfers. Our Top Deals area features our 'best of the best' hand-picked offers; when they're gone, they're gone! On the rare occasion that your chosen deal may no longer be available, our team will always find you the next best price available or they will offer you the best deal for a similar resort. We have strong partnerships with the best and most reliable travel providers in the industry - giving us superior buying power and competitive pricing. 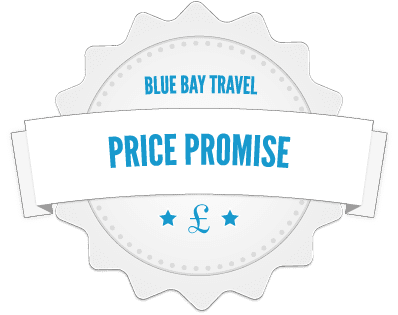 We have access to direct contracts with the majority of hotels featured in our product range allowing us to create the perfect travel package for you with a price to make you smile. We understand that you have the freedom to book with whomever you choose, which is why we continually strive to offer you not only the best prices, but the best service too. Our award winning team of knowledgeable Travel Advisors are passionate about travel and their success is based on their expert understanding of their customer's needs and a top class service that is unmatched by anyone within the internet arena. They are recruited and trained to the very highest standards in order to provide the specialist destination & resort knowledge required to guarantee your holidays will be everything you have imagined and more! We are a truly independent travel company. We search the entire market to find you the best prices. No hidden charges; all of our prices include compulsory fees & taxes. Every holiday we sell with Air Transportation is fully ATOL protected. Easy Payment Options; we don't charge any additional fees for payments made by all types of debit cards.